> Great American Entertainment Co. 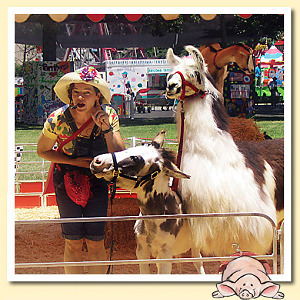 Kids' Party Entertainments > Great American Entertainment Co.
county fairs, rodeos, schools, and private events across the country. every person who enters our gates! Please note Great American Entertainment Co. will also travel to Coppell, Irving, Lewisville, Grapevine, Richardson, Carrollton, Farmers Branch, Flower Mound, Addison, Euless, Southlake, Colleyville, Fort Worth, Bedford, Roanoke, The Coloney, Lake Dallas, Hurst, Plano, Arlington, Argyle, Grand Prairie, Denton, Keller, Little Elm, Frisco, Garland, Allen, Haslet, Justin.